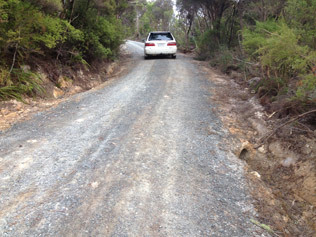 Get the approach wrong and the car suffers on this driveway! 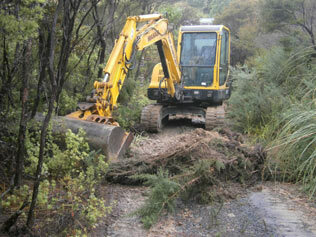 Blocked drainage, water erosion and gorse! Shane tackles the weeds to find the rest of the driveway. A curved dome shape will allow the water to run off easily. The right grade of metal is crucial for a solid final result. 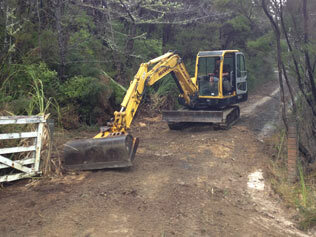 A rainy day provides the perfect conditions for driveway repair. Piles of earth, gorse and dead branches are all tidied up and removed. 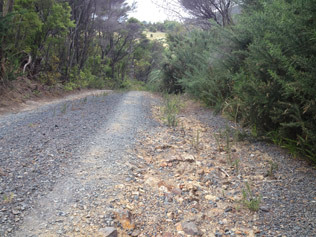 The wet conditions during the repair and gravel laying result in the driveway drying rock hard. This photo was taken a few days after a heavy rain storm and it is still rock solid. 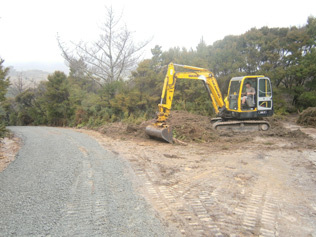 We are extremely happy with our repaired driveway and very much recommend Manaia Excavators. 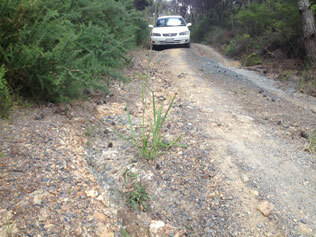 Before giving us a quote, Shaun visited us on site and we walked the driveway and discussed the problems. Shaun said the original structure was good, but time and no maintenance had caused the problems of blocked drains, water erosion and gorse reducing the width of the driveway. 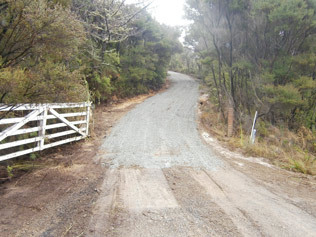 We had many questions as we had been given advice from people experiencing our driveway and Shaun outlined the repair process that would give the best result and the quote was very reasonable. 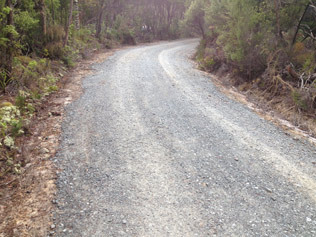 Shane Jesson spend a day repairing the driveway and it looks great. It has been such a relief to have it all repaired and it is still rock solid after some big rain storms.